The John Marshall House is located in Richmond’s Historic Court End and was built in 1790 by John Marshall, known as the Great Chief Justice of the United States. He lived there for forty-five years until his death in 1835. The property remained in the Marshall Family until 1911, when it was sold to the City of Richmond. 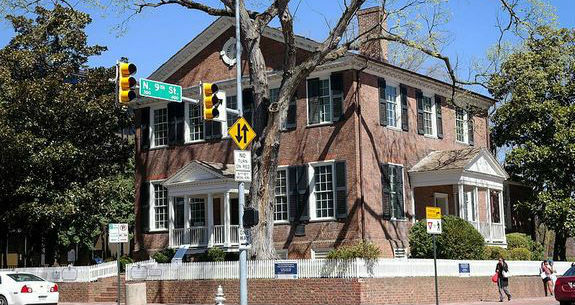 Learning of the City’s plans for the House, members of the Preservation Virginia and other civic leaders petitioned the City to preserve the House. The city entered into a lease agreement with Preservation Virginia to preserve, restore, and open the house to the public in 1913. During that time two major restorations of the House have taken place and an impressive collection of furnishings and decorative arts have been acquired to add to the interpretation of John Marshall’s Richmond home. In April 2006, the city transferred ownership to Preservation Virginia.